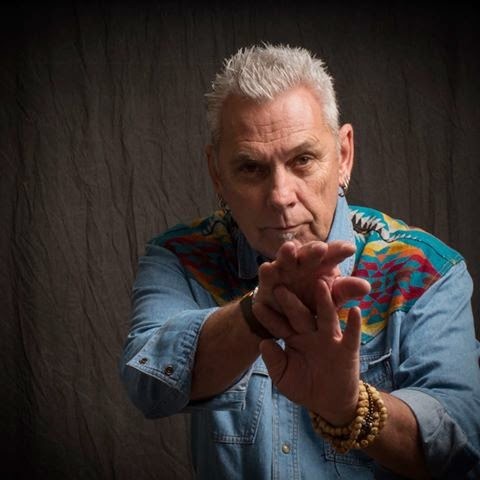 Crisis Chronicles Press is thrilled to announce the imminent publication of the legendary D.R. Wagner's new book, The Night Market. I love everything we've ever published, but if anything can be called the jewel in the Crisis Chronicles crown, this book is it. Perfect bound, 140 pages, with D.R. 's poetry accompanied by ReBecca Gozion's cover and interior art. In my opinion this is the book of the year. “I would guess I’ve been reading the poetry of D.R. Wagner for about 15 years now and one of the things that has always struck me is his seemingly effortless ability to blend both classical and modern literary styles and come out on the other side with something completely his own. The pieces in The Night Market offer a glimpse into the ever-changing landscape of his dreams, his heart placed bare on a snow covered rock at dusk, stealing its revolutions back from the sun, bathing in an ethereal river of emotion that will surely leave you breathless, I promise you.” -John Dorsey, Author of Tombstone Factory. D.R. 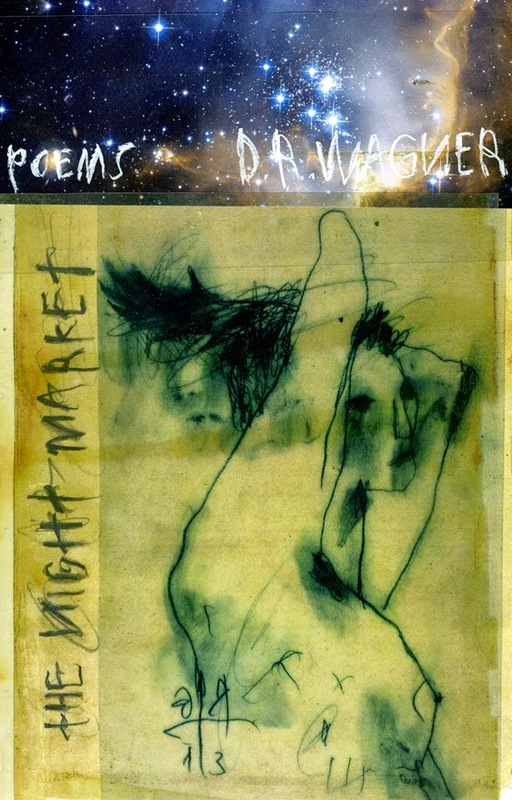 Wagner's The Night Market is only $14.99 from Crisis Chronicles Press, 3431 George Avenue, Parma, Ohio 44134 USA. We also made the first 26 copies of THE NIGHT MARKET available in a special lettered edition signed by D.R. Wagner and ReBecca Gozion. The special edition is sold out. Click here to rate The Night Market at Goodreads. For more details about the official release party for D.R. 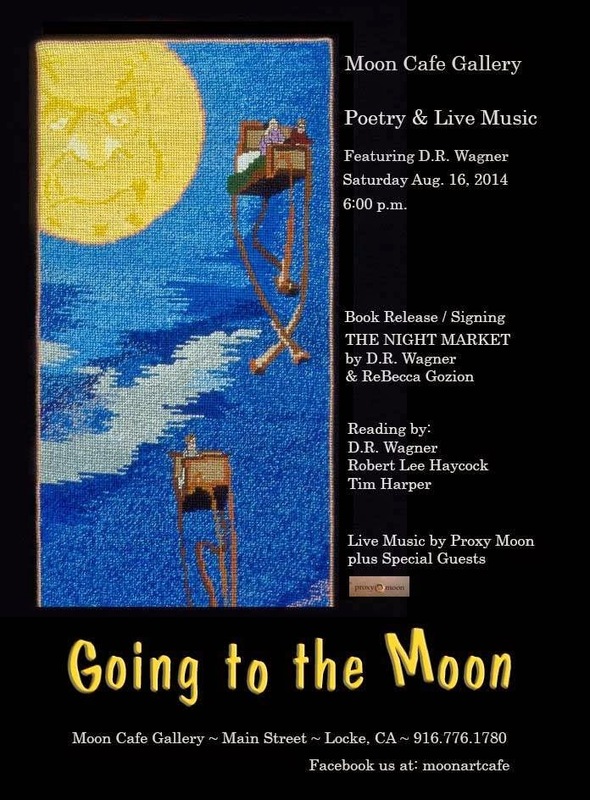 Wagner's The Night Market on August 16th 2014 at the Moon Cafe in Locke, California, please see the poster below. 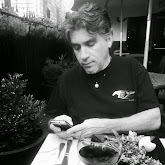 Thank you for supporting the independent literary arts!